Turkish President calls Syrian President a terrorist, says peace efforts cannot continue with him. Turkish President Recep Tayyip Erdogan on Wednesday called Syrian President Bashar Al-Assad a “terrorist” and said it was impossible for Syrian peace efforts to continue with him, Reuters reported. Syria’s foreign ministry fired back, accusing Erdogan of himself supporting terrorist groups fighting Assad in Syria’s civil war. Turkey, however, has toned down its demands since it started working with Assad’s allies Russia and Iran on a political resolution. 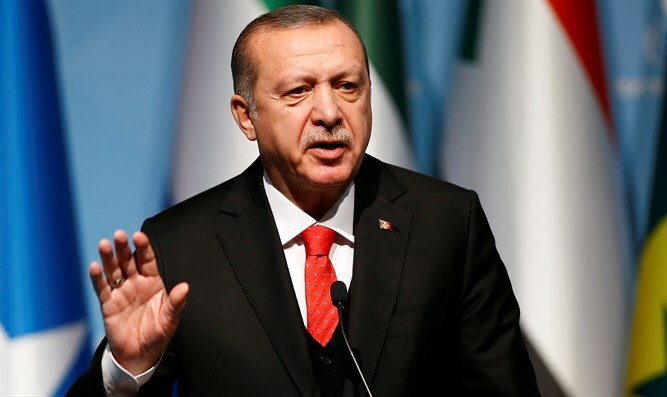 “Assad is definitely a terrorist who has carried out state terrorism,” Erdogan told a televised news conference with his Tunisian counterpart Beji Caid Essebsi in Tunis, according to Reuters. “We can’t say (Assad) will handle this. It is impossible for Turkey to accept this. Northern Syria has been handed over as a terror corridor. There is no peace in Syria and this peace won’t come with Assad,” Erdogan continued. Syria’s state news agency SANA later quoted a foreign ministry source as saying Erdogan “continues to misdirect Turkish public opinion with his usual froth in an attempt to absolve himself of the crimes which he has committed against the Syrian people through advancing support to the various terrorist groups in Syria”. Turkey's stance on the Kurds puts it at odds with the United States, which views the Kurds as key allies in its fight against the Islamic States (ISIS).